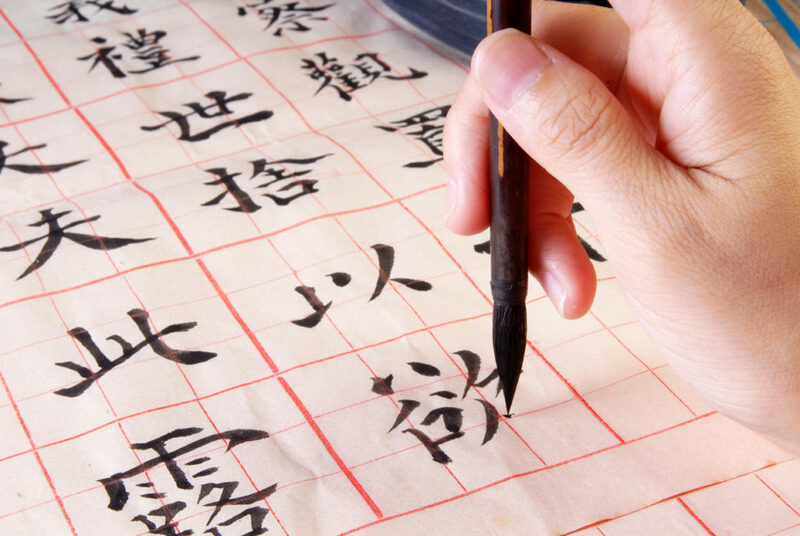 The Japanese writing system consists of two types of characters: the syllabic kana – hiragana (平仮名) and katakana (片仮名) – and kanji (漢字), the adopted Chinese characters. Each have different usage, purpose and characteristics and all are necessary in Japanese writing. Most Japanese sentences you see will have combinations of hiragana and kanji, and on occasion katakana. Hiragana and katakana are unique to the Japanese language. Because of the three distinct characters used and the complicated varying usage, the Japanese written language is described as one of the most difficult languages to master. Japanese characters can be written both in columns going from top to bottom, with columns ordered from left as with traditional Chinese, or horizontally reading left to right, as in English. That’s why you’ll find some books open with the spine of the book to the right, while some open to the left. 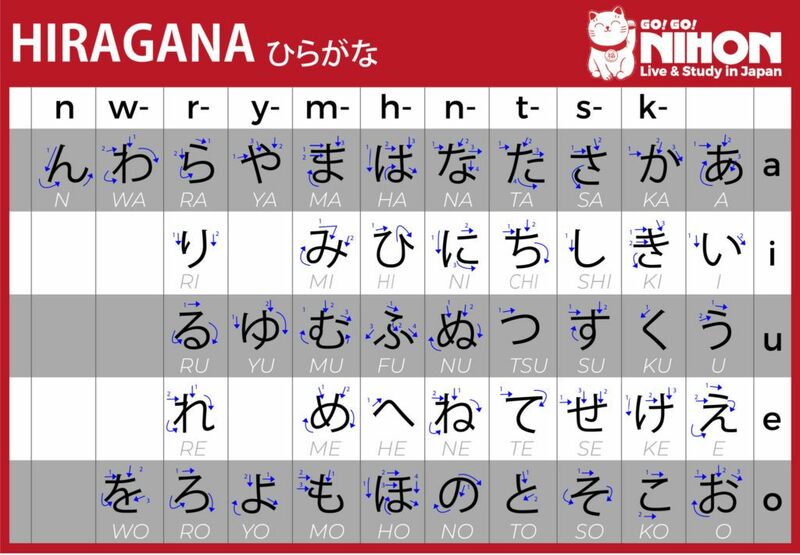 Hiragana, which literally means “ordinary” or “simple” kana, is used primarily for native Japanese words and grammatical elements. There are 46 basic characters which all symbolize syllabaries, or 71 including diacritics. Each sound in the Japanese language corresponds to one character in the syllabary. Students will typically learn hiragana first, before learning katakana and kanji. Hiragana is also used for furigana (ふりがな) or yomigana (読み仮名), a reading aid for kanji you will find either next to or above the kanji. It will help you read kanji you may not know yet, so make sure you master kana! 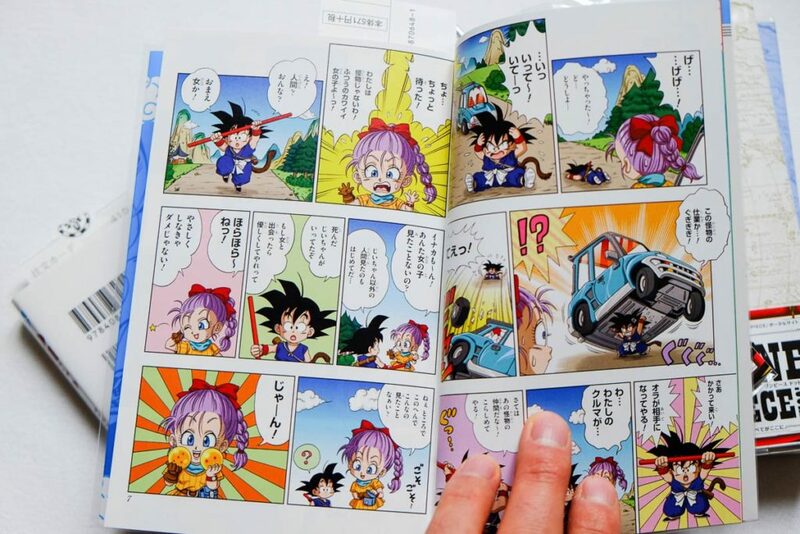 Children’s books targeted at young children are often written in hiragana. 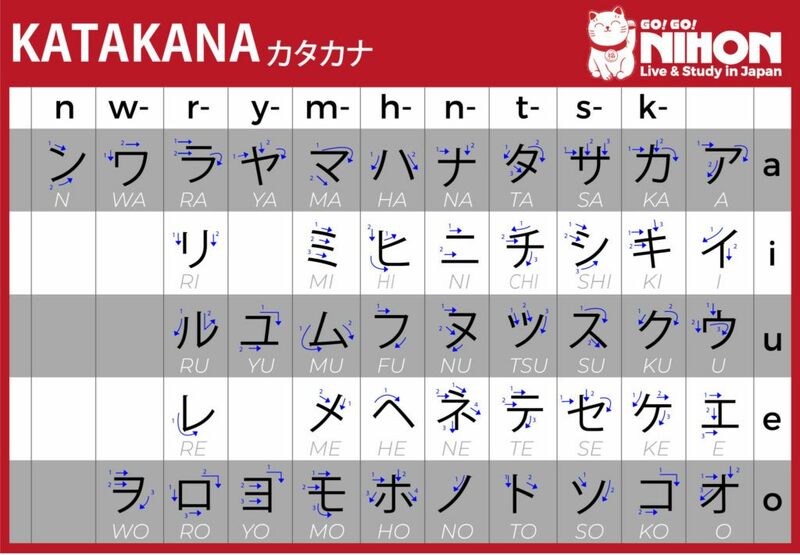 Hiragana is used to write okurigana (送り仮名), or suffixes following kanji roots, which may inflect verbs and adjectives, grammatical and function words such as particles, and other Japanese native words without kanji or with kanji forms too formal or complicated. These basic Japanese characters can also be modified by adding a dakuten (濁点) marker — ( ゙) or a handakuten (半濁点) marker ( ゚). Katakana usage is sometimes similar to italics in English, where it is used for transcription of foreign language words into Japanese. Gairaigo (外来語), or loan words, are all written in katakana, such as バナナ, or banana. Foreign names are similarly also written in katakana. If you have a non-Japanese name, you will probably learn how to write your name in katakana first. The different readings are categorized as either onyomi (音読み, おんよみ), which is “sound reading,” derived from Chinese, or kunyomi (訓読み), which is “meaning reading,” and are native Japanese readings. Most characters have at least one of each, but some have more and some only have one. In Japanese elementary, middle and high schools, students learn more than 2,000 jyoyo kanji (常用漢字), or regularly used kanji. Fun fact: that’s also the number of kanji required to pass the highest level of the JLPT. Although there are more than 50,000 kanji, most native Japanese don’t know nearly as many. In addition to the three Japanese character systems, in Japan you will see the roman alphabet used to spell out sounds. Rōmaji (ローマ字), or the romanized letters, may be used where Japanese text is targeted at non-Japanese speakers, such as on street signs, dictionaries, textbooks and passports. Rōmaji is also used when typing on the computer. Although Japanese keyboards have the capacity to type with kana, many people use the latin script to type out the sounds in rōmaji to type Japanese characters, including hiragana, katakana and kanji. When you’re first learning the characters, rōmaji will help you read the Japanese words. All of this can sound a bit overwhelming, especially for beginners or people whose interest in the Japanese language has just started. No worries, there are plenty of great resources out there to put you on the right track, from phone applications to books, and even games! Here at Go! Go! Nihon, we thought we’d help you on your way with your learning and created the app Hiragana Quest. Working with one of our old students, we used the mnemonics method to build stories around each of the characters to help you learn and remember hiragana and katakana. Why not check it out and start learning Japanese today? Time to get started! Do you want to Live and Study in Japan? support in 8 different languages.